Just so ya know. But let’s go back to page process! After sketching the upcoming scenes, next comes page thumbnails. I’ve already worked out what sort of acting I want, so I don’t worry too much about that. 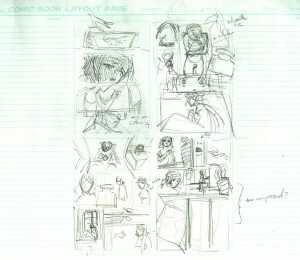 I focus more on finalizing the panel compositions and their arrangement on the page. 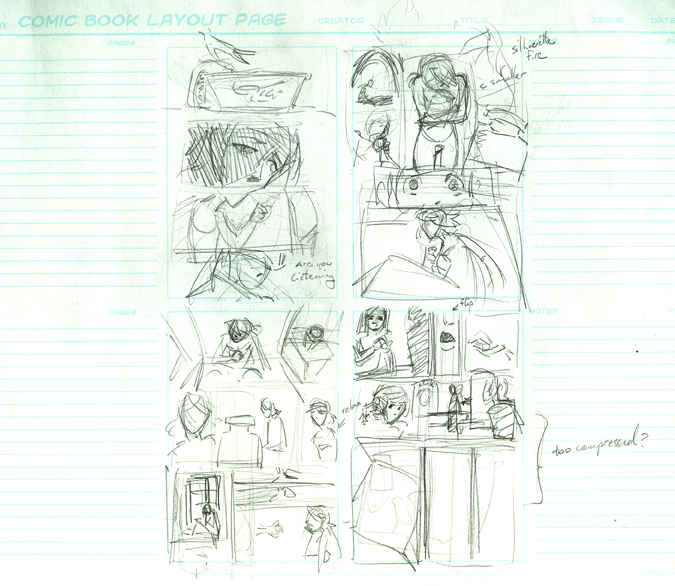 Next, I scan thumbs in and just use them as a template for penciling, which I do digitally. Initially I did the pencils traditionally, but it’s easier for me to make edits and take shortcuts in Photoshop. The upcoming pages have been very fun to draw!